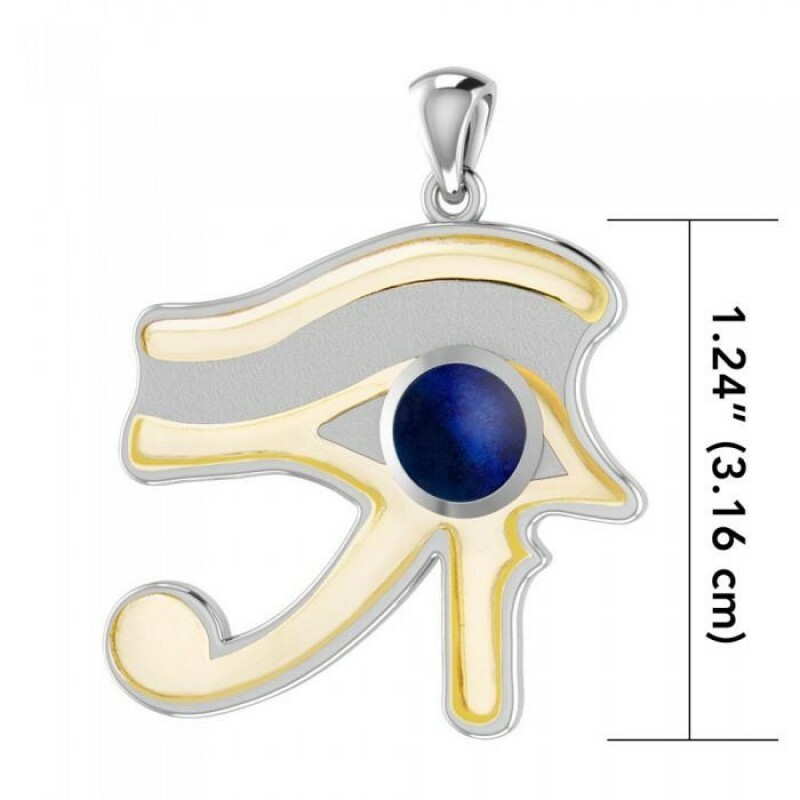 A modern Egyptian Eye of Horus sterling silver pendant designed by Oberon Zell is accented with 14K gold and a Lapis Lazuli gemstone. This stunning Lapis Eye of Horus (the Egyptian symbol of protection and royal power from deities) this pendant is beautifully accented with 14KT gold. 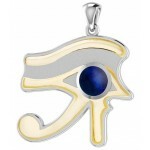 Designed by wizard, artist and author Oberon Zell, it combines brushed matte silver with polished edges and bezel with gold and a cabochon Lapis gemstone. 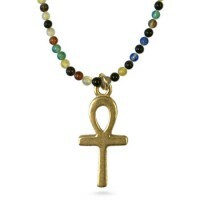 Lapis Lazuli is one of the prime gemstones used in Ancient Egypt said to enhance mental abilities. It brings inner peace and clears the mind of negative thought patterns. 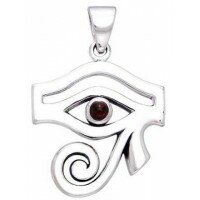 It awakens the third eye bringing insight and enhancing intuition. 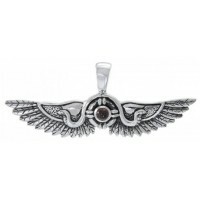 Pendant is 1 1/4 inches high plus the bail ready for your own chain (not included). Item Number: PS-MPD1068 | Approximate Size (Inches): 1.18 wide x 0.05 deep x 1.25 high | Approximate Shipping Weight: 0.25 lbs.